Paul first broadcast in 1968 at Manx Radio whilst on holiday on the Isle of Man introducing pop records following a visit to the station,he later got involved in land based free radio stations in the Midlands in the 70's and also appeared on BBC Radio Leicester in the late 70's. Paul went over to Ireland in the early 80's and worked on several commercial radio stations in the west and also in Dublin and Cork, He also had a spell at Sunshine Radio in Shropshire in 1984. 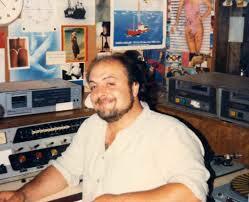 Paul joined Radio Caroline in 1987 and did several stints on board the legendary offshore station into 1988 mainly hosting the drive time shift and was also heard on the UK's first gold format service Solid Gold Radio Sovereign and in Boulogne France at RBL FM. Further stints in Ireland followed including Radio Nova (Dublin), ZEE 103 and a long spell at Radio HMV in London's west end. In 1989 Paul was heard on ILR and found his way in 1990 to KCBC in Kettering. 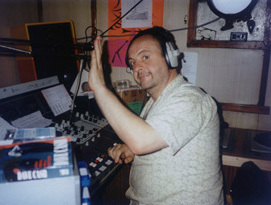 Many other stations followed, Mellow 1557, Invicta Radio, Chiltern Supergold, Hereward Radio (WGMS), Q96, Radio Maldwyn, Yorkshire Dales Radio, Juke Box Memories AM/FM,The Rock FM (Southern Spain), Premier FM(Dublin) plus a host of RSL stations which Paul managed such as The Link FM,Radio London,Maidstone FM and MLR FM(Maidstone) to name but a few. He moved to the Canary isles in 2010 and was the manager of Pirate FM based in Los Cristianos in Tenerife, a further move took him to the Costa Blanca Spain in 2011 to join Radio Nova 106.7 FM.